After snow, the world is white. 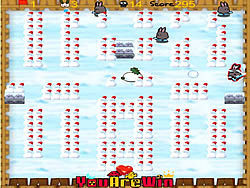 Cute rabbit and his friend have made many snowmen. At the mean time, their enemies begin to attack their home. They made a labyrinth by those snowmen in defending their home. A crazy war begins!